There are many steps to take with ancestry DNA testing before pressing that "order" button. The most important one is realizing what company offers the best service to meet your expectations. 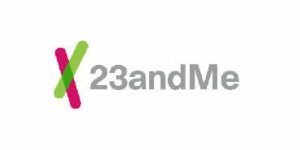 Our comparison of 23andMe and DDC DNA Diagnostics Center will demonstrate the main differences between the companies but also teach you how to match your needs with the right provider. Do you want more relatives found or a more accurate ancestry profile? Are you interested in identifying the first human to bear your DNA or in the migration patterns of your ancestors? Answers to these and similar questions can help you make the right choice.